The Coralville Police Department is asking for assistance in identifying the male in the pictures below. 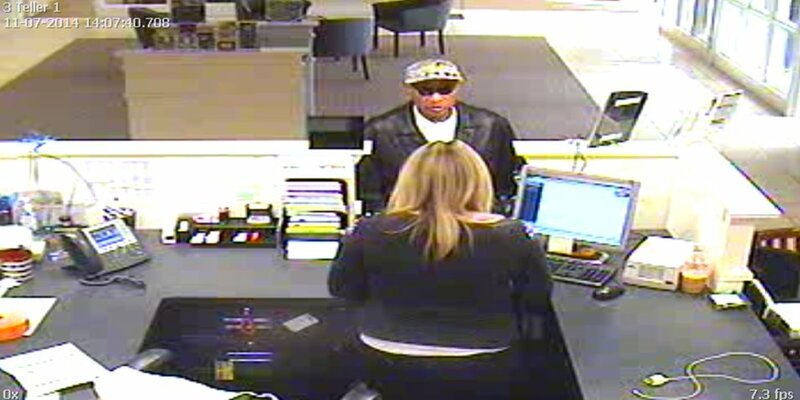 On Friday, November 7, 2014, at approximately 2:08 PM, Coralville Police responded to a reported robbery at NXT Bank, 119 2nd Street, Coralville. 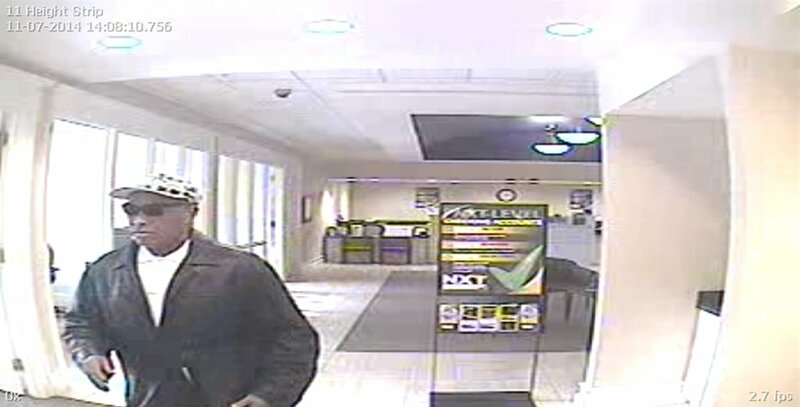 A lone black male, 40 – 50 years old, approximately 6’0”, 225 lbs., medium build, passed a note to a teller demanding cash. No weapon was displayed and no one was injured. 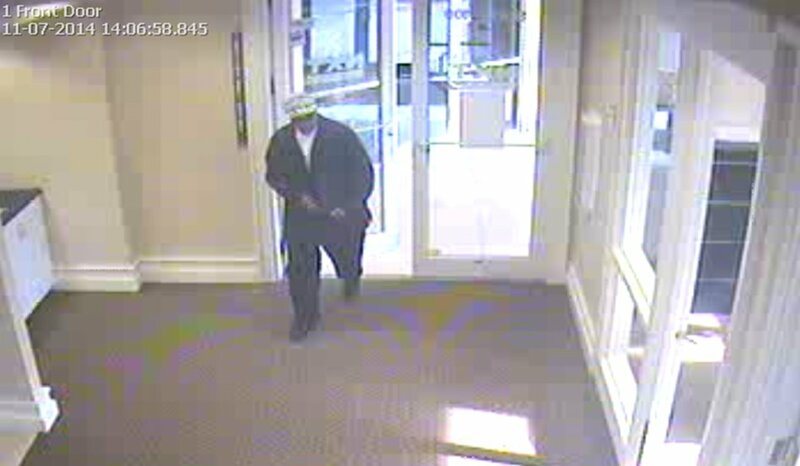 The offender fled with an unknown amount of money and was last seen on foot headed east from the bank.